In the past, the DLCA High Performance Program (HPP) has been exclusive to those who sign up for the 10 or 20 week program. This summer we opened the doors to ten up and coming junior stars from Adelaide’s backyard. The players came from across South Australia to not only link up with our world-class coaches, but to also train alongside our High Performance Players. The week commenced with players arriving for our Monday morning batting and gym session at Gillespie Sports – excited for the week ahead. What better way to start a week than a gruelling gym session – right? The DLCA strength and conditioning guru, Sean Baker, opened up the gym and took them through their paces with body weight exercises. Soon after, it was straight into the nets to work with batting specialists Mark Cosgrove and Andrew Zesers. The Monday session provided a great opportunity for the coaches to get their heads around the strengths and weaknesses of each player. With all feeling sore from Monday’s gym session, Baker was back in the action on Tuesday. It was time for a yo-yo test in the gym at Prince Alfred College. Players in the Schools Program had the chance to test their fitness levels with the best in the business. While many of the lads naturally struggled against the HPP players due to their younger age, there was one standout. Bailey Doe (14), Westminster student and Sturt District Cricket Club player, pushed himself to the best of his abilities and managed to beat a couple of the HPP players aged over 18. A tremendous effort from you Bailey. The Schools Program players also had the pleasure of watching promising HPP athlete Ned Dunning from Somerset rate elite in his test scores. Following the yo-yo test, players had the opportunity to sit down with our leadership and mentoring expert, Stewart McCully to discuss their mental approach to cricket. It was excellent for the young players to be exposed to advice that is normally delivered to elite athletes. To finish off the session, the boys worked outside for a skills session with Danny Perkins (Wicketkeeping), Mark Cosgrove (Batting), Brad Young (Spin Bowling), Peter Muggleton and Mark Harrity (Pace Bowling). In rising temperatures of 38 degrees, Wednesday offered an opportunity for the boys to engage in some match simulation at Park 25. 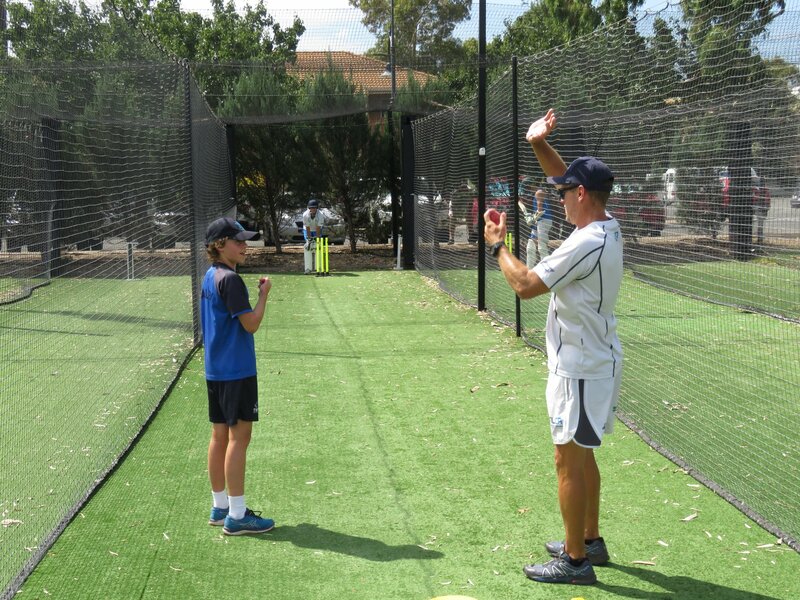 Coaches set game specific targets for the batters and bowlers, requiring the players to adapt. The session offered an opportunity for them to think strategically and go beyond executing their skills. 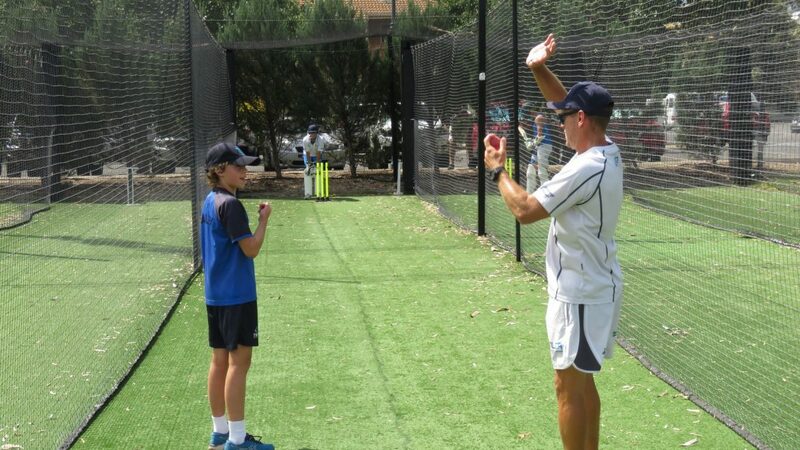 A highlight of the day was the ability for Schools Program and High Performance Program players to mix across nets. Fergus Southon, Prince Alfred College and Aldgate Cricket Club player, faced off to some top class bowling from Billy Buckingham (Norfolk) and Harry Lee (Cumbria). Similarly, wicketkeepers Kieran Grey (Berkshire) and Olly Nathanson (Buckinghamshire) had the opportunity to face bowling from the likes of Joel Stone, Woodcroft College student and Southern Districts Cricket Club player. Thursday at Prospect Oval allowed the boys to practice batting and fielding, whilst also squeezing in another gym session. The program then finished on Friday with a core, pilates and recovery session at Henley Beach. It was a great week for all involved and a big thank you to Josh Bevan, Bailey Doe, Mitchell Jones, Travis Mickan, Michael Parker, Fergus Southon, Joel Stone, Angus Turner and Jayden Wilton for coming along.